Do you have a Customer Portal to view my transactions? I cannot locate my title. Can you help replace it? How quickly can ABS get plates for my vehicle? How much will it cost to title & register my vehicle? What do I need to send to you to get a title and registration processed? If all required documents are received, our office will process your paperwork within 48 hours of receipt. If you have a rush transaction, for an additional $15, our office will process the paperwork the same day that it is received. Yes, you will receive a login and password to our proprietary website during the onboarding process. Once you have logged in to our customer portal, you will have 24/7 real time access to your transactions. We log every movement of your transaction from receipt to completion. Our website has many reporting capabilities that is a helpful tool to keep your fleet up to date. Yes, we work with over 1400 jurisdictions and are very familiar with the process. Once our office has received the required paperwork, we can apply for a duplicate title immediately. 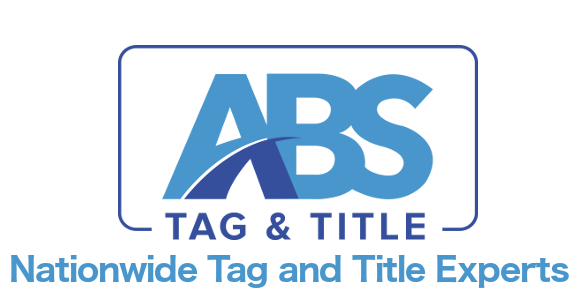 ABS processes in all 1400 titling jurisdictions in 50 states and maintains accurate turnaround times based on current data. Our quote system is updated as cost changes occur at the DMV’s so we can give you up to date accurate fees for your transactions. Once your quote request has been processed by our Customer Success Team Processor, you will receive a detailed list of fees as well as a list of state requirements that are needed to process your transaction.